Preheat your oven to 160c degrees and grease/line a 34cm x 20cm traybake tin. Melt the butter, golden caster sugar and honey together over a low heat in a good sized pan. Once melted, stir in the porridge oats and oatmeal and mix until well combined. Tip half of the flapjack mixture into the prepared tin and smooth down firmly with the back of a metal spoon. 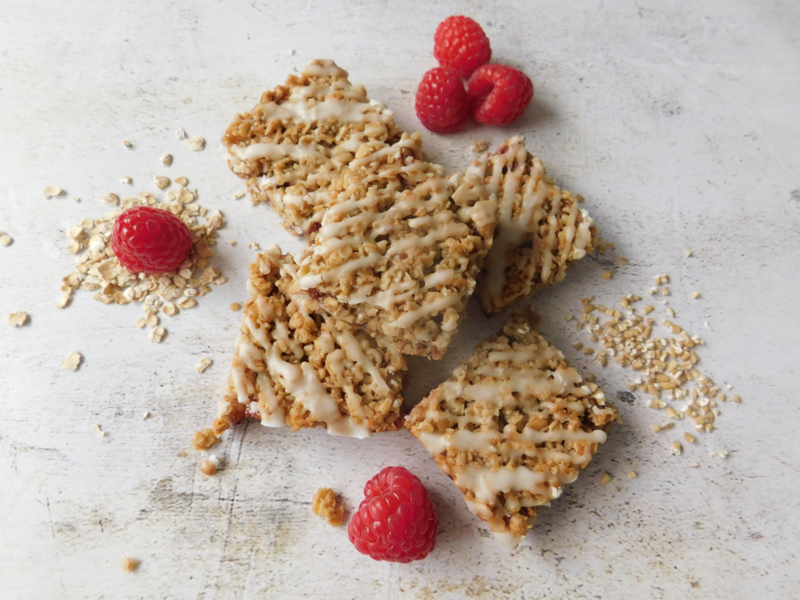 Carefully spread the raspberry jam over the base of the flapjack – you may find this easier if you give it a good mix or warm it first. Sprinkle the remaining oat mixture over the jam and again firm down well. Bake for 20-25 minutes or until the edges are just beginning to turn golden. Cut the cranachan flapjack into24 squares whilst still warm, but leave them to fully cool in the tin. To make the whisky icing sieve the icing sugar into a bowl, add the whisky (or water if you prefer) and beat until smooth. The consistency should be that of double cream. 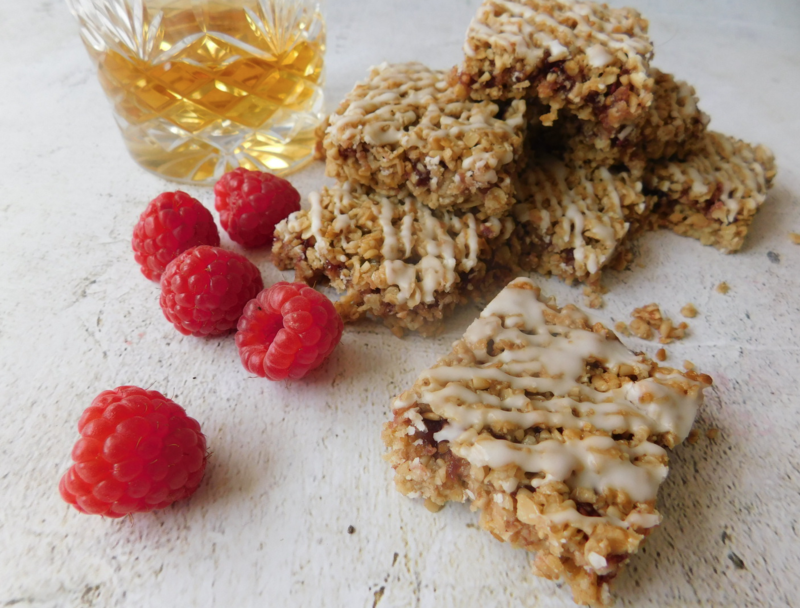 Drizzle the whisky icing over the cranachan flapjacks using a disposable piping bag or spoon. Once the icing has set, recut the flapjacks and remove them from the baking tin.